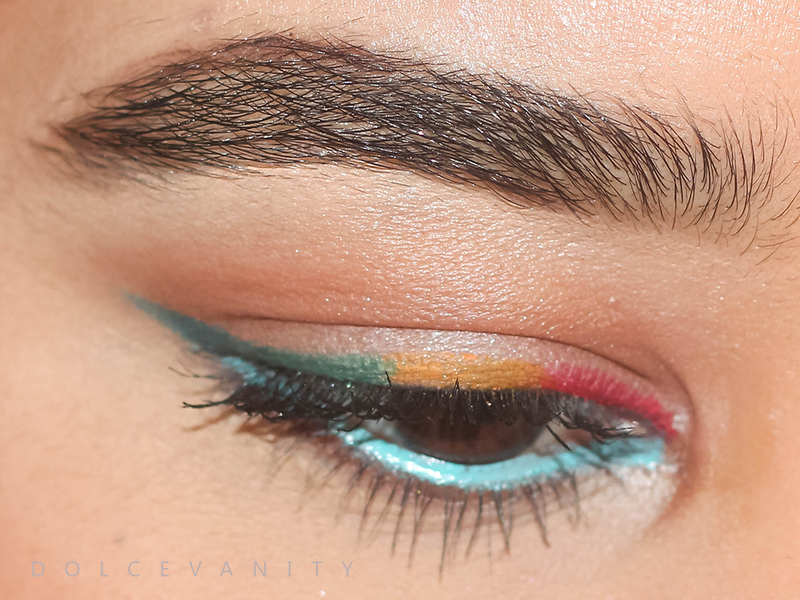 Here's the final bold look for this challenge, what a better way than to combine colours in a rainbow eyeliner. I started off with 208 Mat Red and gradually merged the next colours onto the last one 258 Mat Yellow, 264 Sparkling Green and I winged it out with the 274 Mat Light Sea Blue. To achieve this I used the colours wet using Illamasqua Sealing Gel. They weren't highly pigmented this way and the only colour that came off more chalky than the others was the Mat Yellow. I applied AVON Colortrend Pencil Play Eye Liner - Turquoise onto my waterline, curled the lashes and coated them using Too Faced - Lashgasm. 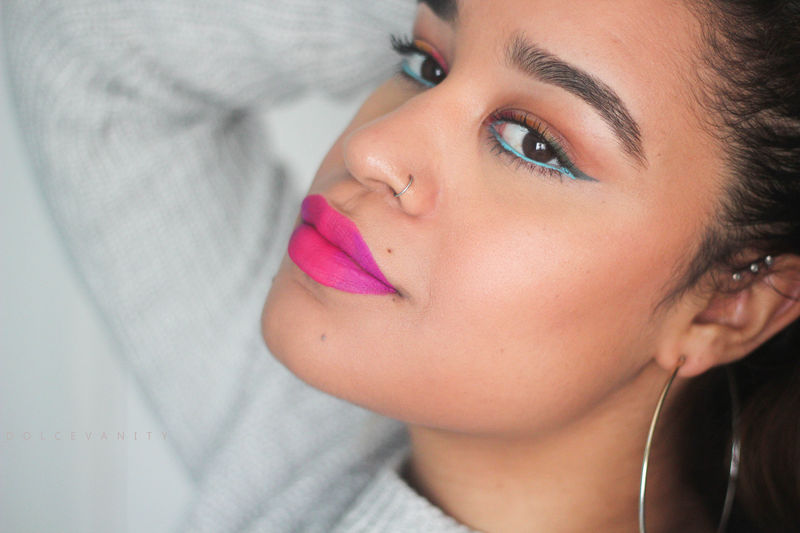 On my lips I did an ombré effect, Lime Crime Velvetines - Utopia & Pink Velvet.